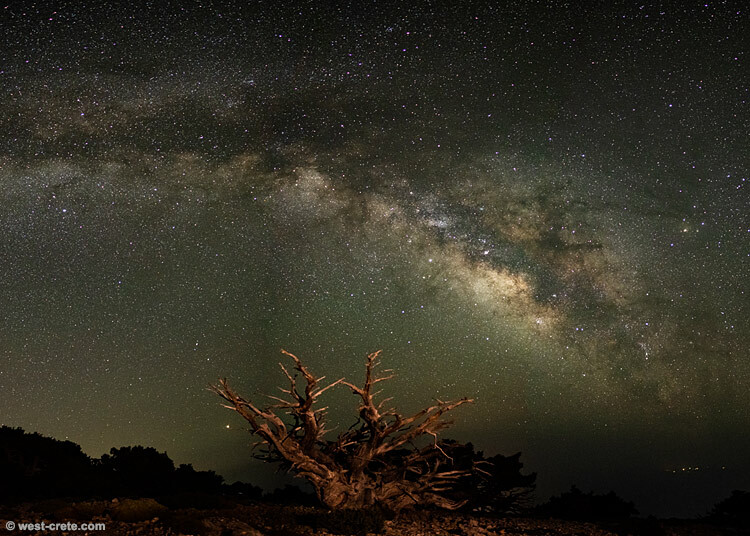 A (fairly large) dead cypress on the slopes of the mountain (at 1550m, near the tree line at Angathopi, above Anopolis) with the Milky Way arch above it. The lights in the bottom right corner of the image come from the island of Gavdos, about 45km away. On that particular night I couldn't photograph live cypresses because th wind was quite strong and the foliage of the trees was moving. As my exposures were around 5-6 seconds it would have caused too much blur.